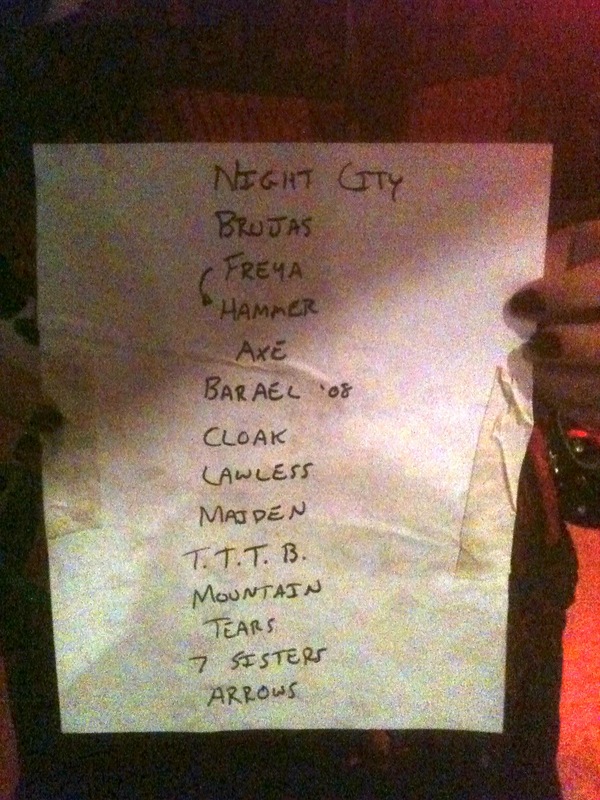 The encore, not listed above, included Iron Swan and Winter’s Wolves. There were 3 or 4 new tracks that should appear on the new album (expected this fall). They were thick & heavy without sounding like retreads. The astute among you will be able to pick them out on the set list. For what it’s worth, JD announced the first one as (I think, the sound was a little rough) Purple Feather and it appeared to be about some kind of bird woman. All the songs were a little sludgier than I would have had them be in my ideal world, but the performances were aces. My only real complaint was the fact that they didn’t do Warp Riders itself. But all-in-all I’m damn glad I got to catch this show and I will repeat my usual refrain exhorting you to see them when they wind up in your neck of the woods. It sounds like it’ll be a while before they go out on tour, though, so you’ve got time to save your pennies. This entry was posted in Music on April 22, 2012 by the venomous pao.